Nuts have been a part of many holiday traditions and celebrations for centuries. During the Christmas season and throughout the year many varieties of nuts are enjoyed as a healthy snack and as a recipe ingredient that increases the flavor and nutritional value of main course items, side dishes and desserts. While almost any type of nut can be enjoyed as a delightful treat during the holidays, there are a few varieties that are given the distinction of being the most popular Christmas nuts. Appearing on the list of popular Christmas nuts is walnuts, pecans, Macadamias, filberts, peanuts, Brazil nuts and cashews. As the holidays approach, buying Christmas nuts in bulk is a time-saving, budget-friendly task to add to your holiday preparation list. When you consider the many ways you can use Christmas nuts, you’ll realize the importance of keeping your pantry well-stocked with various types of nuts before, during and after the Christmas. While each of the nuts listed as popular Christmas nuts is delicious in its natural state, they are also ideal types of nuts with which to make delicious party treats. Candied almonds, pecans and peanuts are a well-loved holiday favorite. Another holiday favorite that is ideal for a party table is Christmas spiced nuts. While traditions are a great way to continue serving meals and snacks that have long been family favorites, it can be a lot of fun to prepare some newer, trendy recipes to spice up your holidays. After buying Christmas nuts in bulk, feel free to get creative. In addition to the traditional nutmeg, cinnamon and clove spices typically used to make spiced nuts, display your creativity by using cayenne, chipotle, chai or cardamon to surprise party guest and start your own tradition. The nuts that are listed as popular Christmas nuts can easily be incorporated into fresh green salads, holiday main course recipes and most definitely used to prepare a myriad of holiday desserts. Christmas is a happy time, not a time for letting decision-making put a damper on your holiday fun. 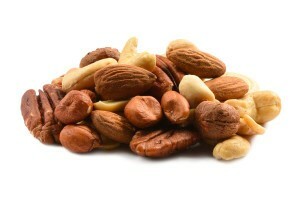 Instead of trying to decide what type of individual nuts to put out for your party guest, opt for Christmas mixed nuts. Even when you do that, you still have several types of mixed nuts to choose from. 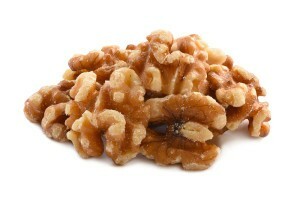 Mixed nut assortments are available as raw mixed nuts which include pecans, almonds, cashews, hazelnuts and pecans. Roasted Christmas nuts, salted or unsalted, are also available. 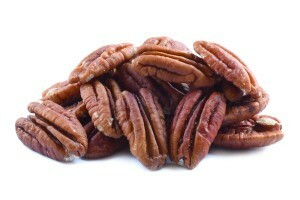 These include pecans, almonds, cashews, peanuts and hazelnuts. Family and friends are sure to enjoy a honey roasted mix that includes pecans, almonds and cashews along with some sesame sticks. Mixed nuts can be packaged in festive bags, boxes or attractive containers and presented as party favors or given as gifts. 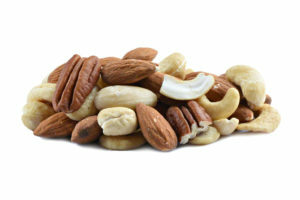 Packing some mixed nuts in your lunch bag or enjoying them as an evening snack provides you with a healthy and palate-pleasing diversion from the abundance of sweet treats that are a prominent part of the holiday season. If you have a hectic schedule prior to the holiday season, piling on the extra tasks associated with Christmas can leave you feeling overwhelmed and exhausted. Online shopping is a convenient way to do your Christmas shopping. You can shop at a time that is convenient for you even if that time is late at night, midday or before sunrise. Finding the majority of the gifts you need at one site can certainly simplify your shopping experience and leave you some extra time to enjoy more holiday activities or to get some much-need rest. Christmas nut gifts in gorgeous tins are a wonderful gift. They are available in a variety of combinations that are sure to please almost anyone on your gift list. You can select an exquisite gift tin that has one type of nut, such as cashews or pecans prepared in three different ways. This type of tin would include roasted, honey roasted and chocolate covered cashews or pecans. Someone on your gift list would likely be quite impressed and delighted to receive a gift tin filled with their favorite type of nut. You might need to do a little investigative work, as is typical around the holidays, to discover what their favorite variety of nut is. Tins filled with a single variety of nut, a mix of different nut varieties and nuts prepared in diverse ways are great holiday gift ideas. You are not limited to a selection of gift tins that consist only of nuts. Tins that include nuts and dried fruit are also an excellent gift idea. You don’t have to limit your choice of gift tins to Christmas nut varieties. Tins filled with pine nuts and pistachios can be just as impressive and well-received as those with nuts that are typically associated with Christmas. When ordering gifts tins for Christmas, you might want to order a few extra tins just in case you need to reciprocate an unexpected gift or give one as a hostess gift.